lol, you're way of the mark. 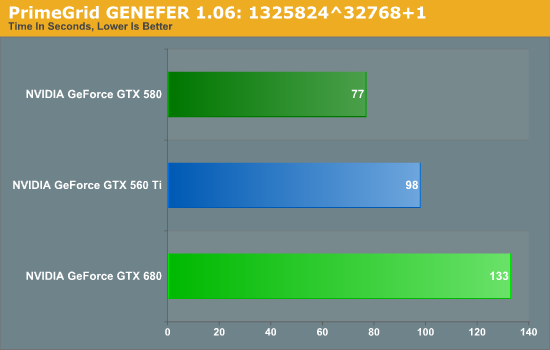 My point wasn't that the 680GTX isn't faster, it's however that it does stand up well against the 680GTX in performance. You didn't get the point of what he meant. 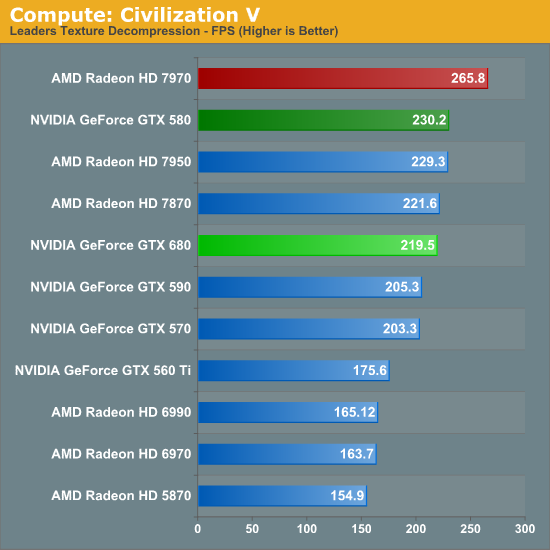 Yes AMD is loosing but mostly in games that already run 60+fps. 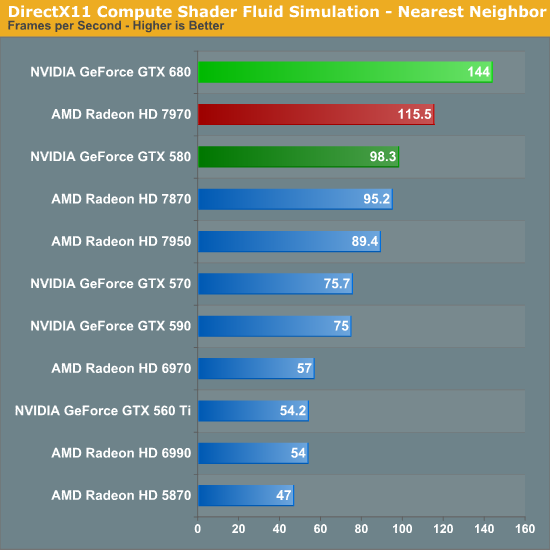 The games AMD wins is where it's still not maxed out yet(below 60 fps). Shogun 2 TOTAL WAR, in this bench set is THE HARDEST GAME, not metro2033 and not crysis warhead. Sorry feller but ignoring that gets you guys the big fib you want. SHOGUN 2 680 wins in top rez. from article " Total War: Shogun 2 is the latest installment of the long-running Total War series of turn based strategy games, and alongside Civilization V is notable for just how many units it can put on a screen at once. As it also turns out, it’s the single most punishing game in our benchmark suite"
No you're WRONG. 1. 608 wins 1 bench in Merto2033, and ties within bench error on the other two resolutions. The hardest game as stated by the reviewer (since you never read) is Shogun2 total war, and Nvidia makes a clean sweep at all resolutions there. 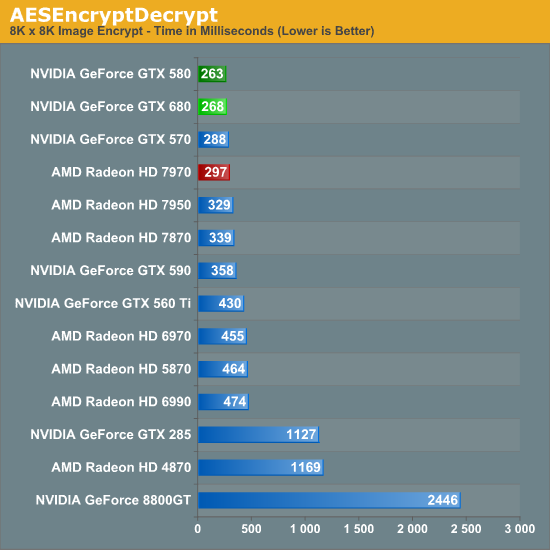 In fact the Nvidia card wins everything but Crysis here, ties on Metro, and smokes everything else. If Metro isn't a tie, take a look at the tie Ryan has for Civ5 and get back to me... ! One "tie" metro2033, then Nvidsia sweeps the rest of them. many by gigantic frame rate victories. 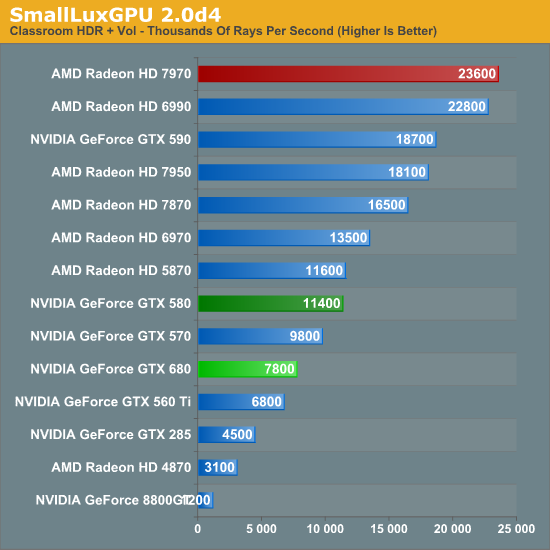 gt680 got more clocks, way higher memory bandwidth than 7970 thats why it got lower power load and price. but i think we can only compare 2 things if they have the "same" engine like drag race cars. both of them made a big leap from previous tech. and thats a win for us.